Zeyu Xu is currently a Managing Researcher with the Analysis of Longitudinal Data in Education Research Program at the American Institutes for Research and an affiliated researcher with CALDER. He was formerly a Senior Research Associate with the Education Policy Center at the Urban Institute. 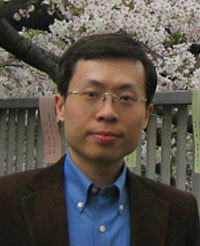 He has extensive experience in analyzing longitudinal state administrative data and in quantitative methodology. His current research primarily focuses on two important policy issues: the use of value-added models in evaluating teacher effectiveness/teacher quality and pay for performance. Using state longitudinal data from North Carolina, Florida and Texas, he leads the evaluation of the effectiveness of Teach for America teachers in secondary schools; a study that compares teacher value-added in high poverty and low poverty schools; the evaluation the effect of Education Department’s Teacher Incentives Fund on student outcomes; as well as a study on the validity of value-added measures of teacher effectiveness. Dr. Xu has completed research studies on student mobility, clustered randomization study design, early childhood education, and education issues in the global context. He was project manager of the Statistical Standards Project at the Education Statistics Services Institute (ESSI) in AIR prior to joining the Urban Institute. He received his Ph.D. in Economics of Education and a M.S. in Applied Statistics from Columbia University.